The United States’ record of military intervention in the Middle East over the past three decades has been an abject failure. Our great adventures in Kuwait, Afghanistan, Libya, Iraq, Yemen, and Syria have not resulted in the promised peace or democracy. More to the point, none of this has resulted in regional stability and security — for anyone. Not the US, not Israel, not Egypt — no one. Last night, the US, Britain, and France hurled some missiles into Syria to punish its dictatorship for gassing its innocent citizens. It’s nice that Trump makes mouth-noises about chemical weapons being used against innocent Syrian people, but these are the same innocent people for whom Trump has slammed shut America’s doors. 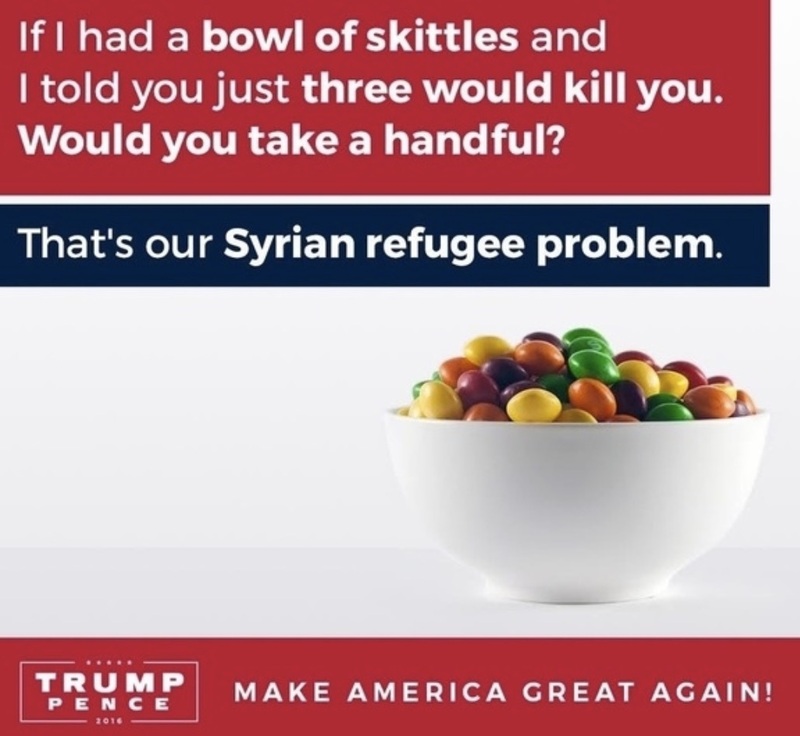 I reject this idiotic and disgusting meme, but honestly — we’ll bomb the Skittles but not give the Skittles refuge? There is nothing honorable going on here.